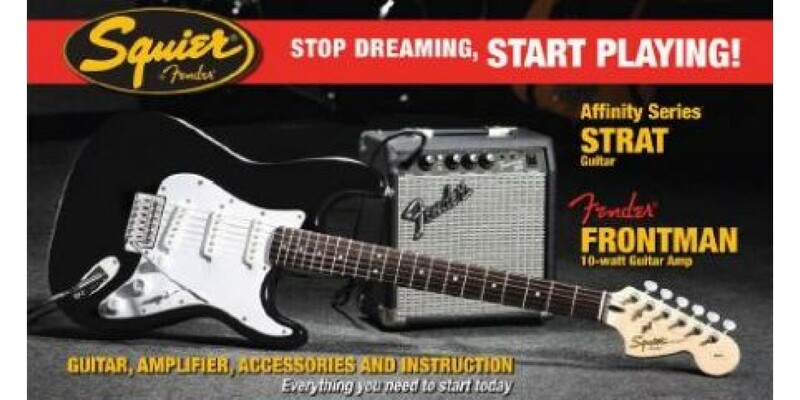 Everything you need to get started as a guitarist! 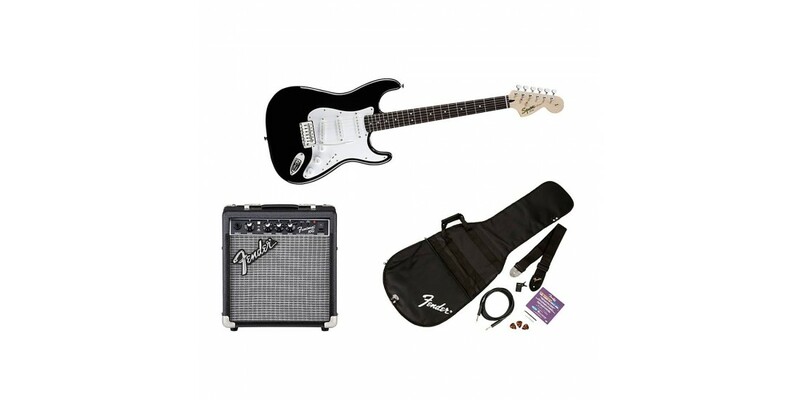 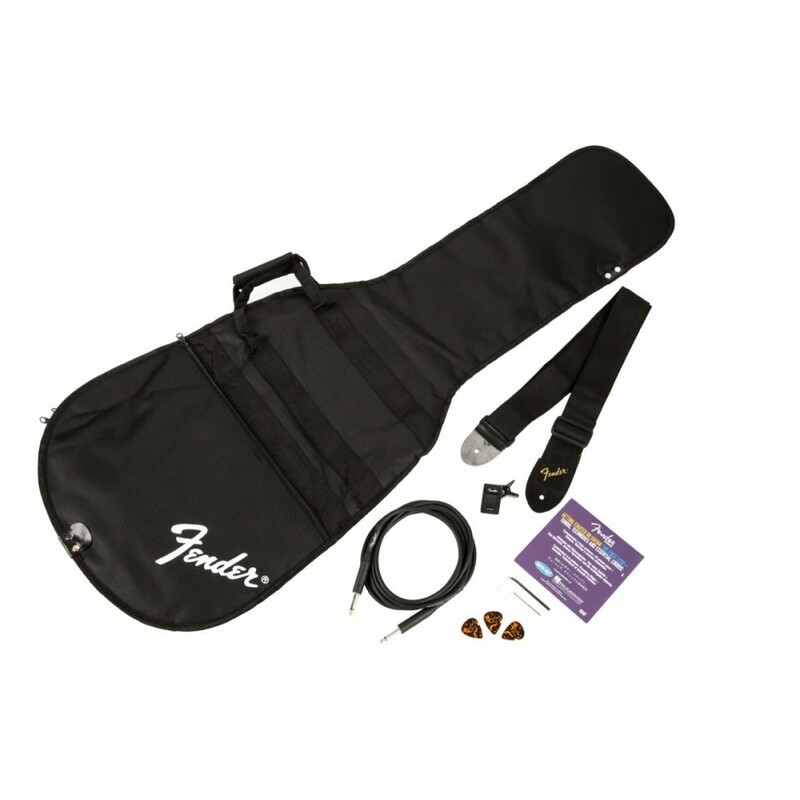 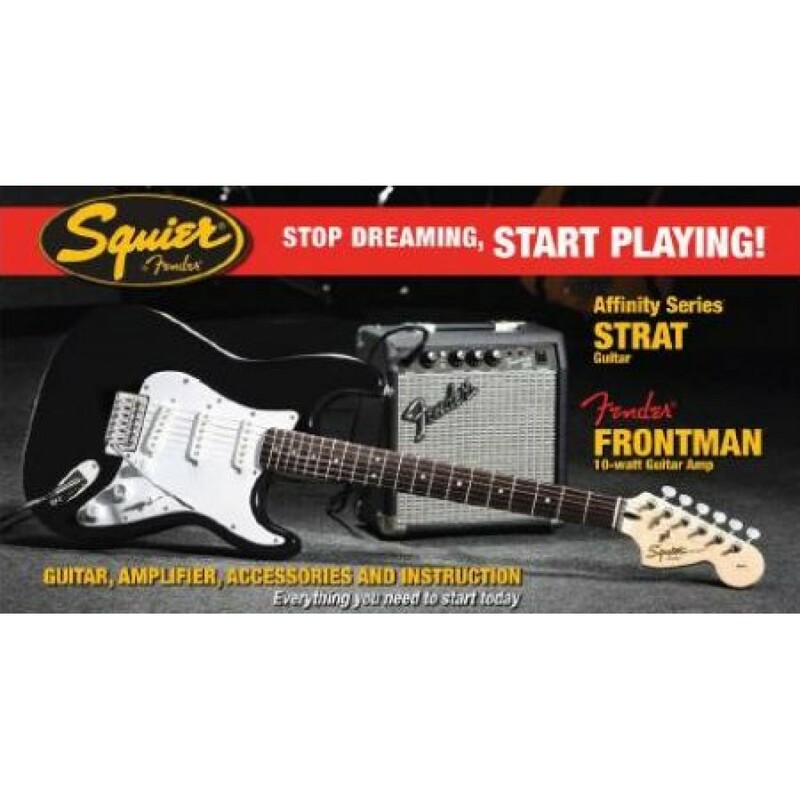 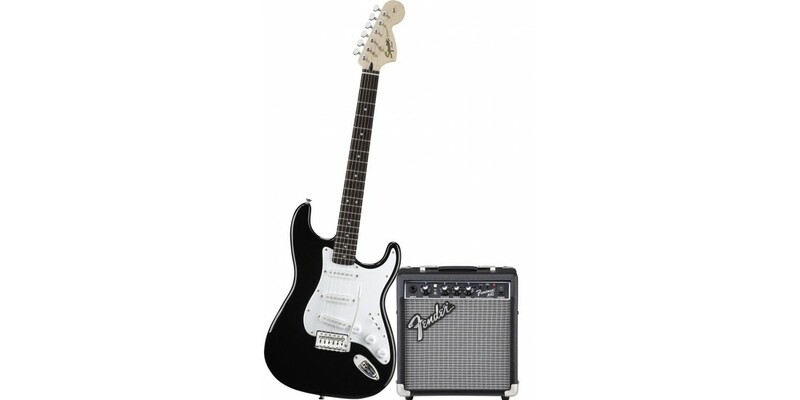 This Squier Stop Dreaming, Start Playing guitar and amp package includes a Squier Affinity Stratocaster and a Fender® Frontman 10G amp, an electronic tuner, instrument cable, gig bag, guitar strap, pick sampler. 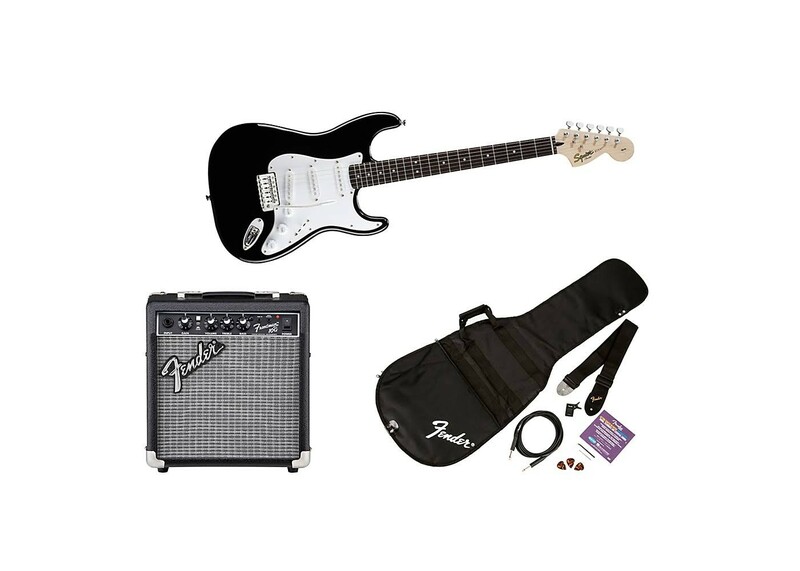 The Squier Affinity Series Strat Electric Guitar combines 3 single-coil pickups and 5-way switching for a versatile tonal range. 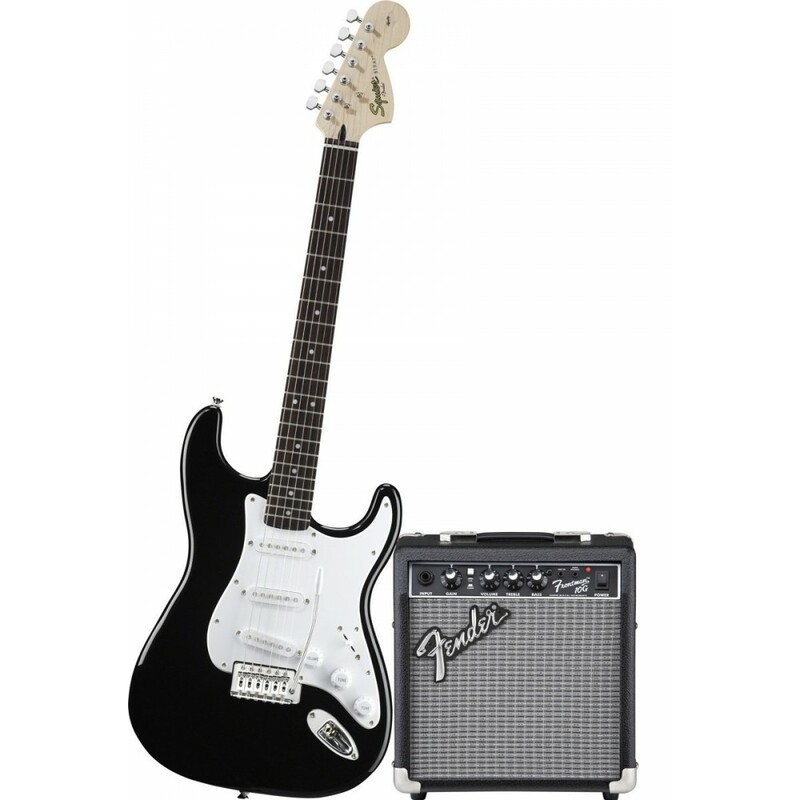 It has a solid hardwood body, 21-fret rosewood fingerboard, die-cast chrome tuners, and standard fulcrum tremolo bridge. 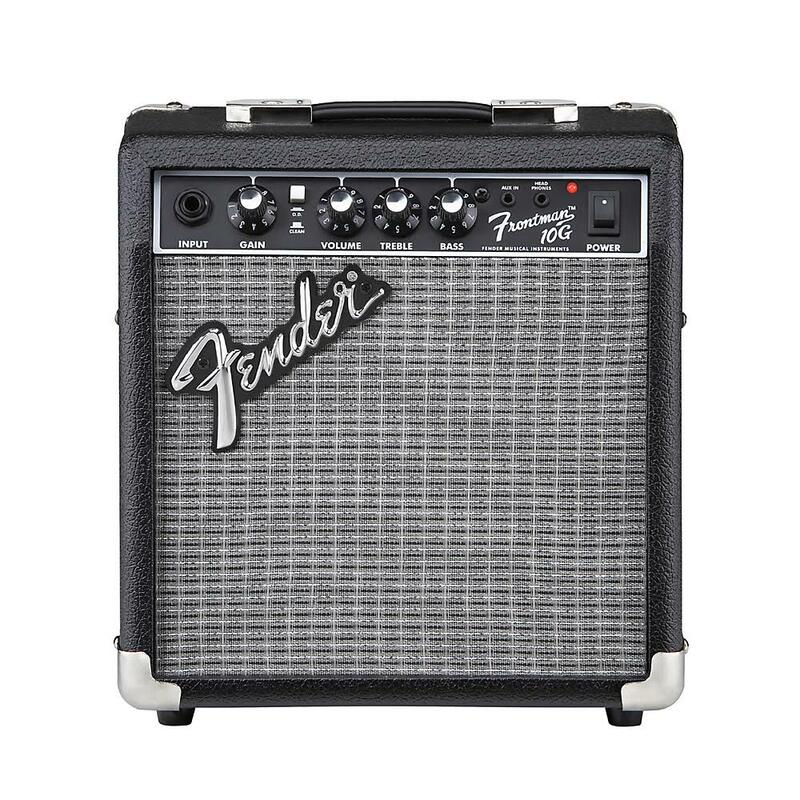 The Frontman 10G amplifier features Fender® s Blackface cosmetic treatment (skirted knobs; silver grille cloth), that makes these guitar amps look as good as they sound! 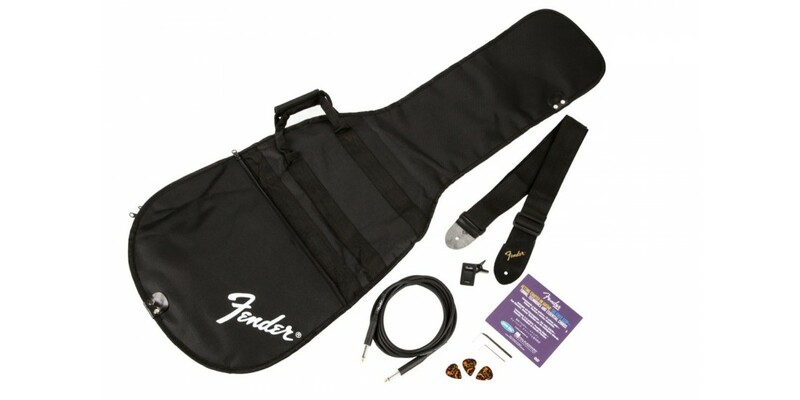 The 10 watt Frontman 10G features dual selectable channels (normal and drive), auxiliary input for CD or drum machine use, a headphone jack and separate controls for treble, mid, bass, volume, gain and drive. 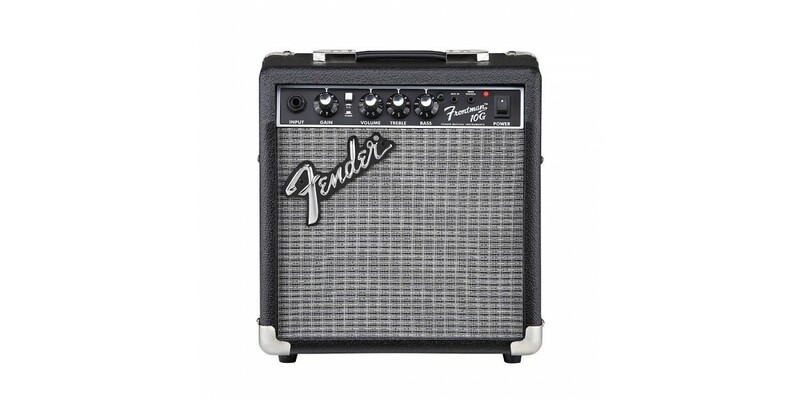 Small package; huge sound!